At this point, if you really want to, you can dive right in and start a new project! Everything is there for you to just jump in and run. But...there are a few things that you can set up now, to make Project Online more useful for your organization. Got users in different time zones? Project Online stores times and dates in UTC (Coordinated Universal Time) format, and then converts times to the local time zone of your Project Web App site when you view a page. If you have users in time zones outside the time zone for your Project Web App site, you should have them change their personal time zone settings to match their location to ensure that they're seeing times and dates properly in Project Online. Want your team members to turn in timesheets for the work they're doing? Before your team members can start filling out timesheets, you need to set up a few things. Want to use groups to manage who's doing what in Project Online? 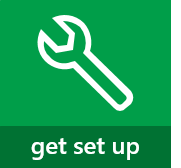 You can set up Project Online to use the same Active Directory groups you might already have set up in SharePoint Online. This can make it a little easier to keep track of who's doing what across the different tools in your organization. Make sure you're in SharePoint Permission Mode . Plan SharePoint groups in Project Online . Configure the Resource Center to use your Active Directory groups . There are lots of ways to map Project Online to the way you run your business. Here are a handful of other things you can start looking through, when you're ready to dive deeper. Some of these resources are written with Project Server in mind, but the steps are relatively similar. If you get overwhelmed or confused, the discussion forums on TechNet are a great place to get your questions answered. Ready to move past setup? Next up, Create a project in Project Web App! Stuck? 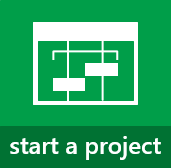 Try the Project discussion forums on TechNet!